Paprika is considered the national spice of Hungary and appears in the country’s most celebrated dish, goulash. Hungarian paprika is made from peppers that are harvested and then sorted, toasted, and blended to create different varieties. All Hungarian paprika has some degree of rich, sweet red pepper flavor, but they range in pungency and heat. The first recorded use of the word paprika in English is from 1896, although an earlier reference to Turkish paprika was published in 1831. 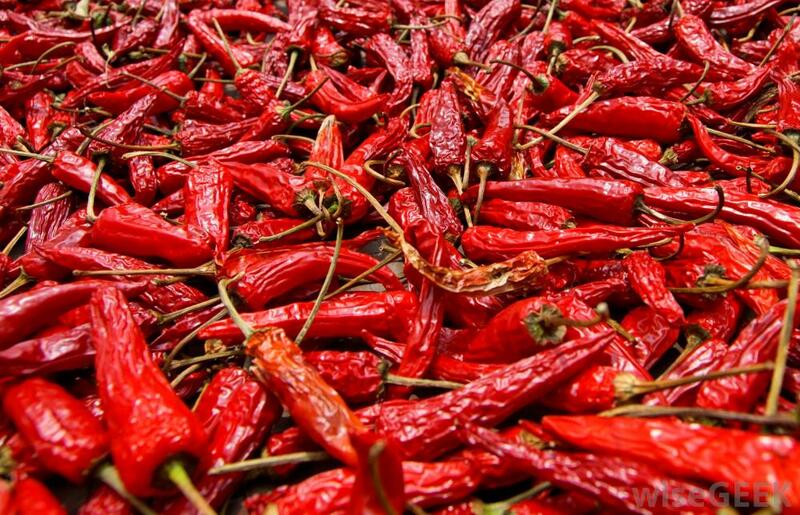 The word derives from the Hungarian word paprika, a diminutive of the Serbo-Croatian word papar meaning “pepper”, which in turn came from the Latin piper or modern Greek piperi. In the 19th century two Hungarian brothers received awards for the quality of their ground paprika. The Palfy brothers introduced semi sweet paprika by removing the stalks and seeds from the pods. This removed the capsaicin, which gives the spice its heat. 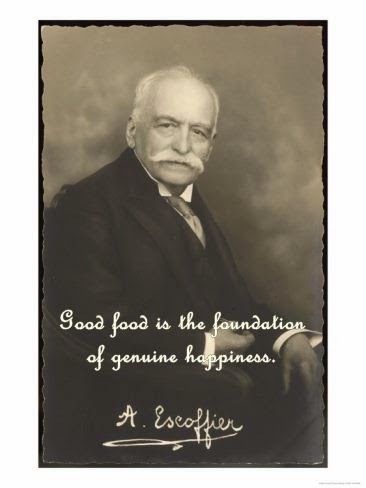 The French chef Escoffier, introduced the spice to western European cuisine. He brought the spice in 1879 from Szeged to Monte Carlo. A Hungarian scientist Albert Szent Gyorgyi won a Nobel Prize in 1937 over his work with paprika pepper pods and Vitamin C research – paprika peppers have seven times as much Vitamin C as oranges. 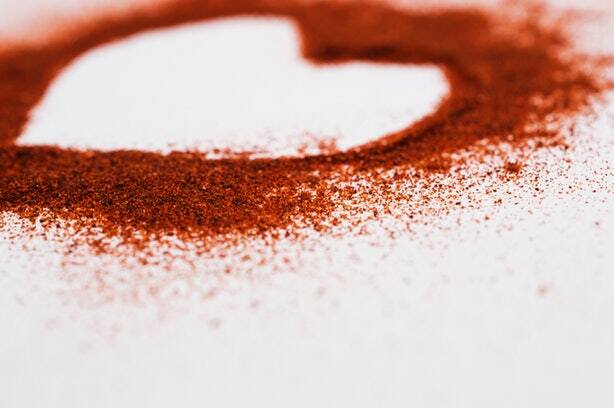 However, in a typical serving size of one (2 grams), the ground spice paprika supplies 6 calories and is rich in vitamin A (21% of the Daily Value), but provides no other nutrients in significant content. The trade in paprika expanded from the Iberian Peninsula to Africa and Asia, and ultimately reached Central Europe through the Balkans, then under Ottoman rule. 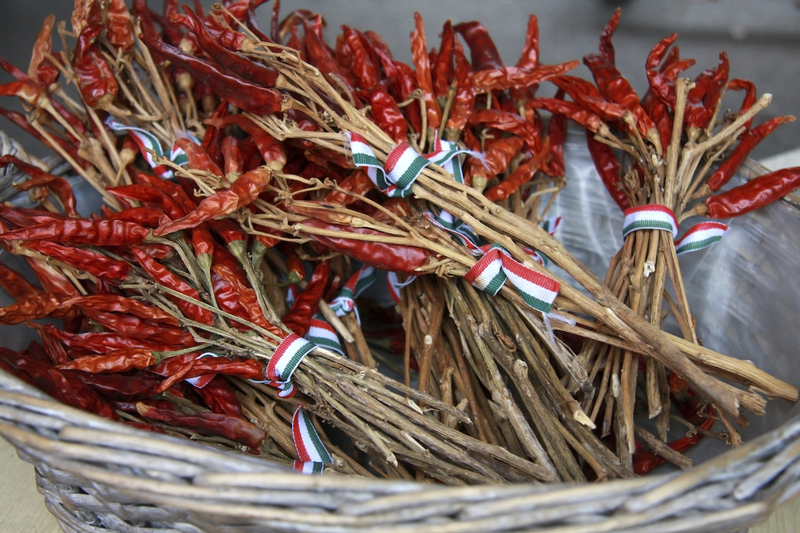 The plant used to make the Hungarian version of the spice was grown in 1529 by the Turks at Buda. Central European paprika was hot until the 1920s, when a Szeged breeder discovered a plant that produced sweet fruit, which he then grafted into other plants. In Spanish, paprika has been known as pimentón since the 16th century, when it became a typical ingredient of eastern Spain. Despite its presence in Central Europe since the beginning of Ottoman conquests, it did not become popular in Hungary until the late 19th century. Like all capsicums, the paprika varieties are native to South America. Originally a tropical plant, it can now grow in cooler climates. In Europe, Hungary and Spain are the two main centres for growing paprika peppers, though these varieties have evolved into much milder forms than their tropical ancestors. Hungarian paprika is known to be stronger and richer than Spanish paprika, which is quite mild, though through controlled breeding they are becoming more alike. 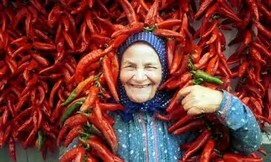 Most of the world’s commercial paprika comes from Hungary, Spain, South America, and California. Hungarian paprika is considered to be the finest by many and two towns in Hungary – Szeged and Kalosca – compete against each other for the title of Paprika capital of Hungary. 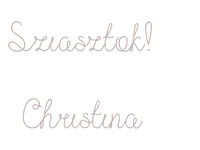 In Hungary there are eight grades of paprika ranging from sweet to hot. To maintain the stronger taste that consumers expect, some spice companies add cayenne to heat up Hungarian paprika. Harvesting is a colorful process. In the villages of Szeged and Kalosca, as well as many villages across Hungary, peppers are threaded onto long pieces of string and hung up to dry outside the houses. 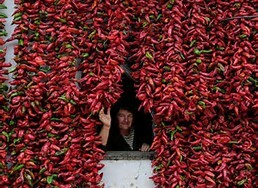 Grinding peppers is an old tradition in Hungary. 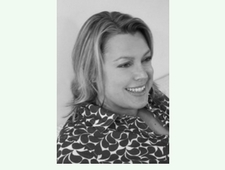 One of the first methods was to simply crumble the dried pepper pods into a dish using a mortar and pestle. As the demand for paprika increased, the process changed. Water and windmills were used to grind paprika pods. Today they are ground between stones and steel cylinders. TIP To make your own paprika, allow peppers to turn red before drying and grinding. Snip them off the plant and hang to dry in direct sun. You may also use a dehydrator but be sure to remove stems and seeds first. Allow the pods to dry until they turn very brittle. Store the peppers in a ziplock bag or in the freezer. Grind them as needed with a blender or coffee grinder. TIP My auntie told me to add a bay leaf to my paprika and keep it in the freezer. I’ve never had a problem with my paprika turning rancid. 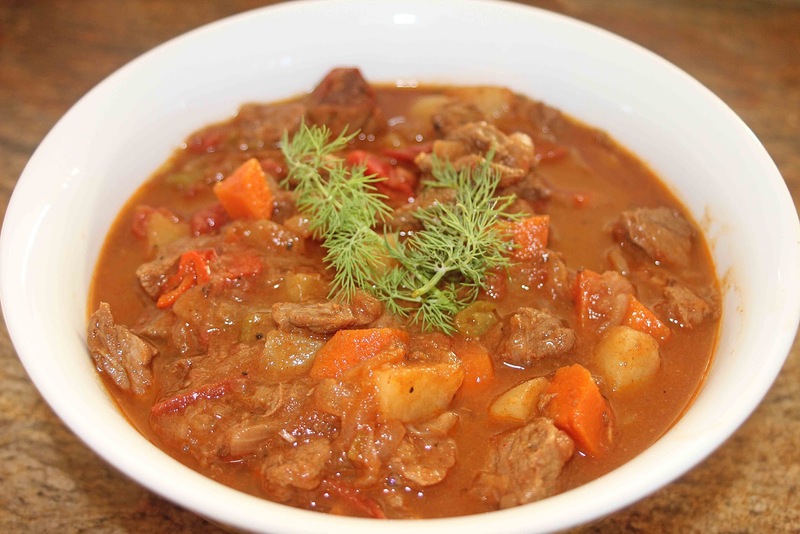 I’ve included a recipe for Gulyas (Goulash). This is one recipe where every Hungarian has their own version, which they insist is the original version. All recipes though seem to hold the same ingredients – onions, Hungarian paprika, tomatoes and green, red or yellow pepper. Potato and noodles are also added according to some recipes. 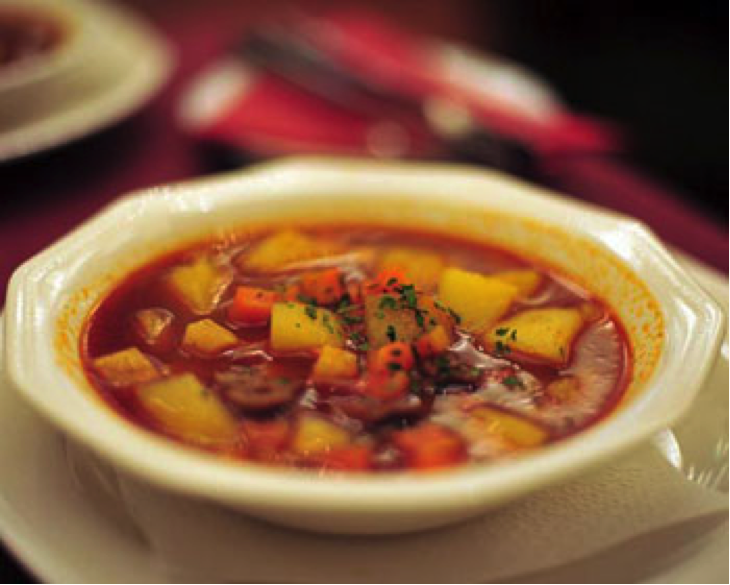 If cooked in the proper way, gulyas has a nice and evenly thick consistency, almost like a sauce. 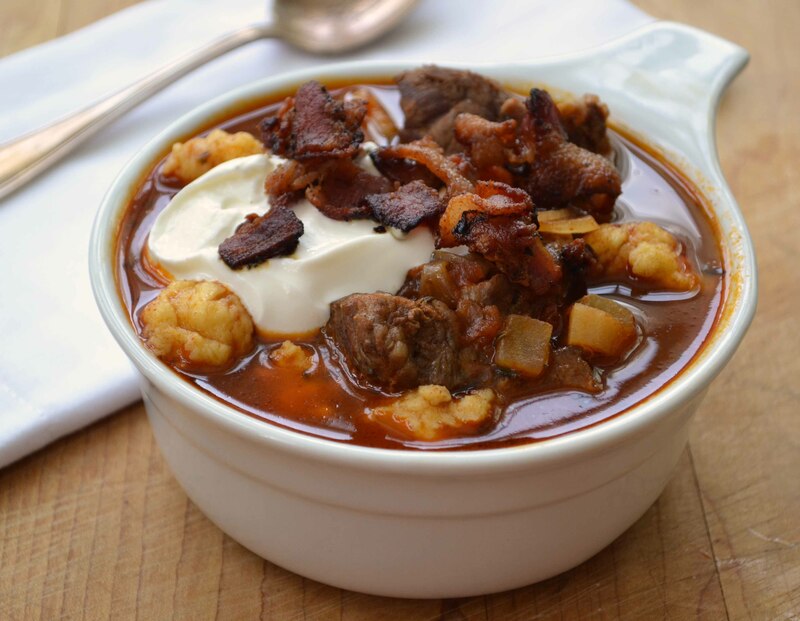 Hungarian gulays is neither a soup nor a stew, it’s somewhere in between. In Hungary it’s considered rather to be a soup than a stew, so look for it among “Soups” on restaurant menus. Regardless, they’ve all been good and I’ve never had a bad gulyas made by a Hungarian. Heat the oil or lard in a pot and sauté the chopped onions golden brown. Add the beef cubes and sauté till browned. Sprinkle the braised onions and meat with paprika powder while stirring them to avoid burning the paprika. The meat will probably let out its own juice. Let the beef-cubes simmer in it while adding the grated garlic, ground caraway seeds, salt, ground black pepper, and the bay leaf. Pour enough water to cover the contents of the pan and let simmer on low heat for an hour. After an hour, add the diced carrots, parsnip, potatoes, celery leaf and more salt if necessary. When the vegetables and the meat are almost done add thefresh tomato cubes or paste and the sliced green peppers.